Interesting but but the writing is a bit unengaging. Do you believe in ghosts?I do, especially after waking one night to a sense of presence in my bedroom. Scooting around, I looked and I saw a man standing at the foot of the bed. A pale green aura surrounded his entire being clothed in a Levi jacket & jeans, a dusty red bandana in his hand. Did I know him?Oh, I knew him for he was the one who was there for me through my divorce. As I edged closer, he vanished! Not having seen him in a while, weeks later a neighbor told me he had been found in a gutter, dead. A collection of ethereal stories, Earl Murray’s saga on Reno Crossing in ‘Ghosts of the Old West’ enabled the underlying theme of my contemporary romance novel to gain entry in Chapter Three of ‘The Backside of the Page’ with the leading lady riding shotgun while her passenger drives the Ohio Turnpike.Oblivious to his presence, she’s engrossed in a story about the Battle of the Little Bighorn in 1876. Specifically, a location known as Reno Crossing where, in 1983, an onsite tour guide awoke in her apartment one night to the presence of a man sitting in her living room chair. A photograph identified not Major Marcus Reno in command of the 7th Calvary after General George Armstrong Custer perished, but his adjutant & friend, Second Lieutenant Benjamin Hodgson. Said she repeatedly of the apparition, “It was the terror in his eyes.”As the third chapter of my book continues, a ride is offered to a stranded motorist. Settled in the backseat, the English gentleman peruses the book and dismisses as nonsense not only Murray’s account in ‘Visions of Reno Crossing,’ but vehemently denounces the leading lady’s definition of simultaneous existence.Do you? Love it! 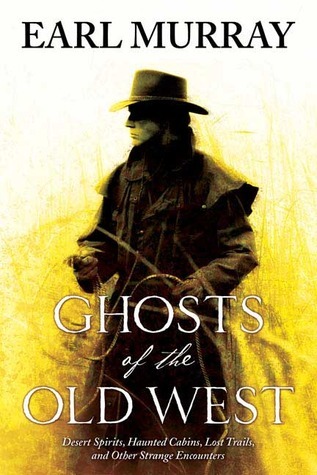 Living in Montana and having had the pleasure of growing up in a home that was over 100 years old and had ghosts, this book is a favorite. I am on my third copy, my second is signed by Mr. Murray and is safe on my shelf! Highly recommend!